I have been very busy over the last month preparing for two happenings tomorrow. You've no idea how many emails have gone back and forth across the Atlantic Ocean. 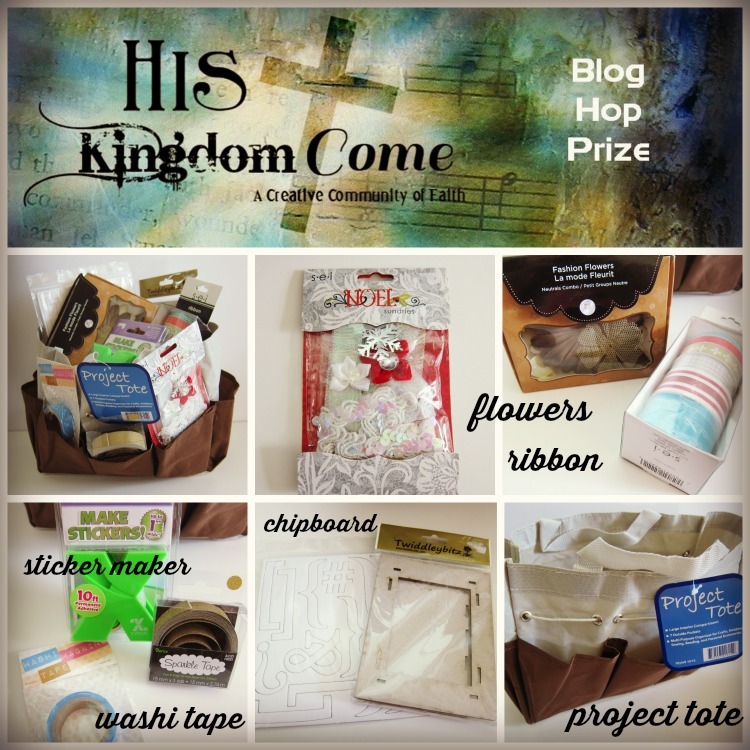 Firstly there is a blog hop to celebrate the launch of His Kingdom Come, a new online community. You can start the blog hop here on my blog or start at the top of the list you'll find on my blog post tomorrow. Plus Pause, Ponder & Prepare starts and continues daily until November 25th with a closing post on November 29th. There's still time to decide to take part. An opportunity to make an Advent Calendar telling the Christmas Story and/or an Advent Journal. I hope you will be joining me tomorrow. My planner is so full and we still have 8 weeks left. I'm wondering whether it will need surgery again. The task for One Little Word this month was to write yourself a letter of encouragement. People are already talking about their Documented Life Planner 2015 and what their one word might be for One Little Word. For a change I'm not going to follow either of those particular projects. I'm going to take part in Take Me Deeper a 52 week devotional and Logos 365 which is about living with God's One Word. You can find out more here. Yesterday I described how I made my 25 numbers for my tags. And I said I was going to hang the tags from twine or ribbon. Well guess what! I've changed my mind. I told you the planning is far more difficult for me than the actual making. There are lots of photos today. I remembered that I was throwing out a board I had previously used for hanging a quilt and so fished it out of the recycling. It's a piece of Daler board on a wooden frame. I checked to see if the 25 tags would fit. And chose the vertical way. Then I painted the board first with a coat of gesso, then a darkish blue and then with a paler blue acrylic paint. I glued mini pegs onto the board using Golden Heavy Gel. Next I played with the tags. And I mean play! I had already got the various stamps, stencils etc together and I just randomly did things onto the tags. I had put some of the gesso that was left on my scraper onto two tags. I put modelling paste through stencils. I heat embossed using a stamp and a stencil and Ranger Emboss-It Dabber. I haven't worried too much about the fact that I missed a bit because I can always put the number over it. I'm calling this side the front and all 25 of the fronts will be on display for 1st December. I'm making the backs on separate tags telling the Christmas story using the verses that you can download from the Pause, Ponder & Prepare blog. Each pair of tags will then be stuck together using double-sided tape. I have made a second set of numbers for the backs. I printed out the numbers that Diane designed on copy paper. If I did them again I would print them on card! I coloured the paper with Distress Ink. I used embossing ink over each number and heat embossed it with clear embossing powder. I used a punch to cut out the numbers. I cut circles from a piece of cardstock and painted round the edge of each with gold acrylic paint. I stuck the two together. To see how each of these tags becomes part of my Advent Calendar follow my blog posts through November, starting on November 1st. And it's not too late to join in with Pause, Ponder & Prepare. The third of the preparation posts for Pause, Ponder and Prepare can be found here. Originally I was going to make my Advent Study book so that I could store my Advent Calendar in it but after I decided what book to use I decided I would make my Calendar totally separately. 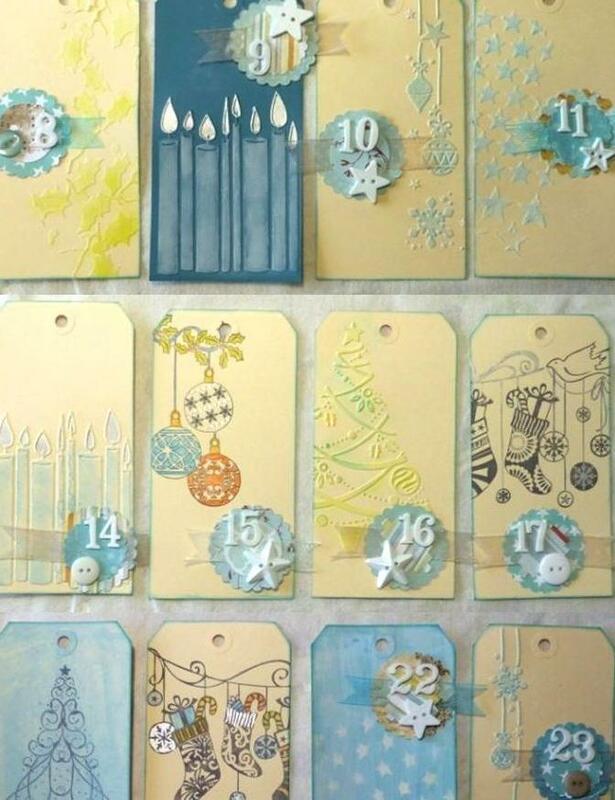 I have been collecting inspiration on Pinterest for quite a while relating to Christmas tags and Advent Calendars. 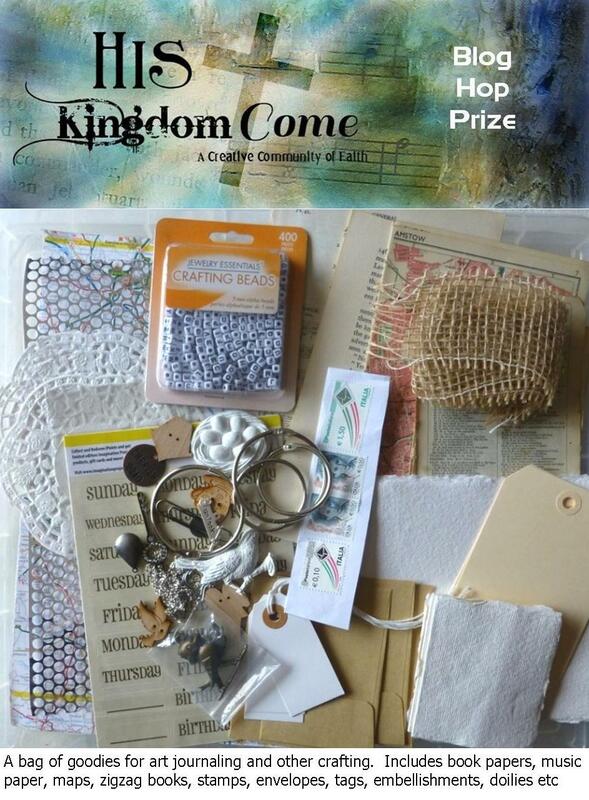 You can find inspiration for tags here and for Advent Calendars here. I am using #8 manila tags. If you live in the UK the best deal on these can be found at Craft Obsessions. First I decided on a colour scheme and then I gathered together papers, embellishments, ribbons, acrylic paints and anything else I could think of that would be useful. The papers weren't particularly Christmas related as I decided to use pale blue and pale brown. I looked in my stash to find a set of 3D letter sets where I had enough numbers to make 1 to 25. These foam Thickers are just great. I checked to see that they were the right size and proportion for the tags. I decided that it would be easier to make all the numbers for the tags at the same time. It's much easier to have a 'production line' to make them rather than making them each day. Using my die cutter and some dies and a couple of punches I randomly cut out shapes from the papers I had chosen. At this point I wasn't thinking too much about how I would assemble these. I cut pieces of ribbon and sorted out some embellishment. Then I laid the large circles out and built up the layers. I stuck the ribbon and the inner circle on each one. Then I moved them all round until I had the order I wanted to use them in. Then I stuck on the letters and the embellishment before trimming the ribbon. My plan with the tags for the advent calendar is to have one side of the tag decorated as a Christmas decoration with the number on it, with the other side having the Bible verse on it that tells the Christmas story. I'm planning to put up some ribbon or twine and peg all the tags to it with the numbers facing out and then each day in December turning the tag around. I have worked on the Christmas decoration side of all the tags making several at once so that they are all ready for November 1st. Come back tomorrow to see what I have done. The second of the preparation posts for Pause, Ponder and Prepare can be found here. 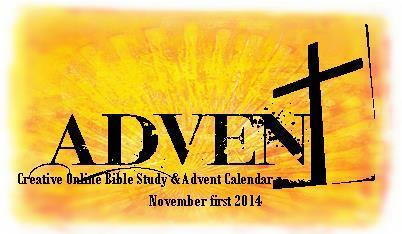 It looks at how you might use the Advent Study. In my previous preparation post I talked about getting all my stash together. Today I want to look at what I shall use for my Advent Study. I had thought about making an altered book but decided not to. 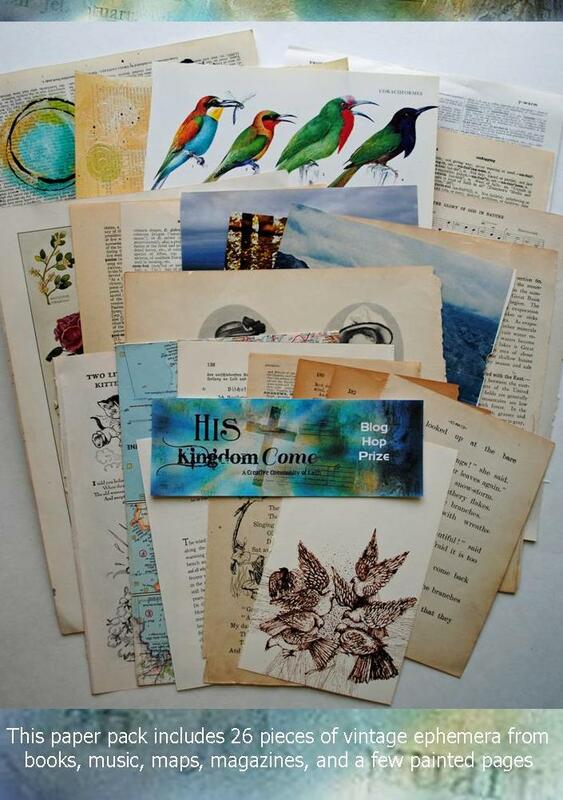 If you want to find out more about making an altered book there are some posts about it here and here. Whilst sorting out my stash I found the book I prepared for Diane's Advent Study in 2010. I had bought a Teresa Collins kit to do Shimelle's Journal Your Christmas in and then decided to incorporate the study. I made the book and then did nothing with it! I decided I would use something I already had. I'm a firm believer in encouraging people to use what they have and not to go out and buy something and so I thought it would be good to practise what I preach. I had bought a Prima Mixed Media Journal because I liked the one I was given in a workshop with Finnabair. It doesn't have quite enough pages for 25 double page spreads but then I remembered the other journal and took 2 pages out of that. I took the journal to pieces by pulling the spiral binding apart very carefully. And removed the pages. I am not going to use the plastic wallets that came with it. Then I put the white and kraft pages alternately. So then I pondered. Should I paint the pages? Use scrapbooking techniques? Use the book to store the Advent Calendar tags in as well as the study? I decided I couldn't get my head round all that I needed to do with the Prima journal so went back to the 2010 journal and recycled it with new 2014 tickets and a few changes elsewhere. And then I decided I didn't like it. Do you have problems like these? The decision making process for a project is the hardest part for me. I found I still had some of the original kit left and found enough bits to redo the whole ticket bit. So now I have a complete book ready to go.